A balanced workout regimen is necessary to maintain a healthy lifestyle, the same way a good SEO strategy is essential to the longevity and success of your business. Although you may be thinking this is a far-fetched statement, in reality these two processes have more in common than you think. This article will show the relation between the two, and will aim at helping you improve your SEO strategy (and maybe even your workout routine). Now, give me 10 lunges to start! As a personal trainer, I’m a big advocate of consistency when it comes to a workout routine. My personal motto is “The day you start missing workouts is the beginning of the end.” It’s most certainly true. As humans, we are extremely adaptable creatures, which means we have the power to change our daily lives with the snap of a finger. But how does this relate to SEO? Consistency is equally important in an SEO strategy. It takes daily routine checks, reporting, and strategizing to be able to achieve results. The day you decide to bid farewell to your SEO plan is the day you’ll start losing organic traffic and conversions. Keep a log of your tasks. This will make your strategy more organized and purposeful. Don’t forget to report results (organic traffic, referral traffic, social media, conversions, etc.) to your clients and/or superiors regularly. Preferably the same day and time every week. Check for improvements. Just like in a workout routine, improvement is the fuel for motivation. Speaking of motivation, what can be better than having a support system? Not much. To illustrate, my 5 a.m. workout with my coworkers if far more enjoyable than any gym routine out there. We empower each other to be the best we can be. As a result, this motivation prevents us from hitting the snooze button one too many times. When it comes to SEO, nothing comes close to the feeling of knowing high page rank and popular websites are linking to your site. Yes. I’m referring to earning good backlinks. These backlinks are what give your website the authority and support to thrive in the search algorithms. Without them, it’s just another boring site the Google bot has to crawl. Adopt online outreach. By this I mean, sign up to HARO or ProfNet, practice some guest posting and request testimonials and reviews. Use Social Media to feature fans, run contests, and syndicate your blog articles. Find broken or unlinked links. Reach out to those sites and request a new, healthy link. Use LinkedIn’s inbox and Inmail feature to reach out to connections. Ask them to comment on your articles on the website or to leave a public inquiry or questions. Remember to get back to them. I often encounter individuals who claim that they’ve lost substantial amounts of weight through a magical weight loss pill, by eating unhealthy, and avoiding all exercise. I’m sure you’ve heard it as well. Now, this is either a lie or an extremely unhealthy way to approach weight loss. Unfortunately for those who dislike exercise, the saying “no pain, no gain” is true. Becoming fit takes time (several months, even years). It’s a process that encompasses eating healthy, exercising regularly, and controlling stress. The same process can be said for SEO. A client that signs up for an SEO strategy and expects to get substantial results within a week is actually taking an “unhealthy” approach. Setting up an SEO strategy for success means devoting your time, day in and day out, to coming up with different strategies. It’s about seeing gradual results as you go instead of a big jump from the start. Set up realistic goals. When you start a workout, it’s important to ask yourself where you would like to be; towards the end, you’ll end up pushing yourself for that goal. The same goes for your SEO strategy. Ask yourself where you would like to be in x number of months. Be patient. When I start training someone the first thing I mention is that after determination, patience will be the next best trait to possess. When it comes to your SEO strategy, it’s important that you arm yourself with patience, perseverance and determination..
Focus on small victories. The instinctual human reaction is to always want more. Unfortunately, this is a real deal breaker. Focusing on small victories will make you feel better and will motivate you to keep going. 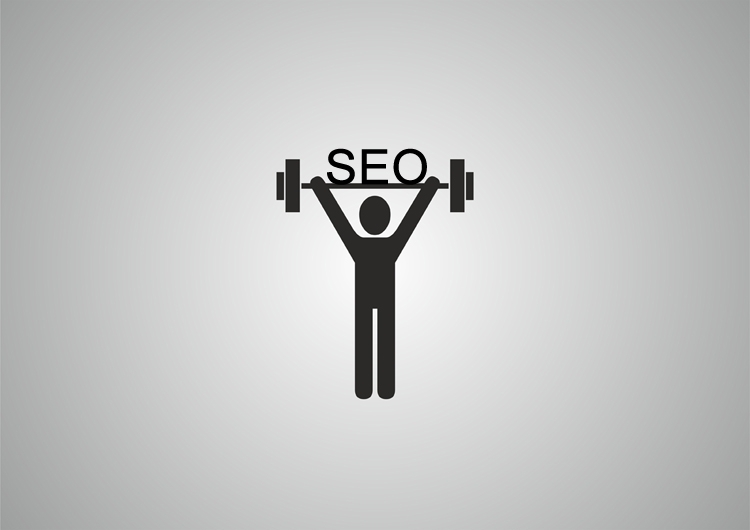 This goes both for SEO and for your workout routine. Most workout related injuries are due to some kind of mobility error that could have been prevented by stretching; proper exercise, form, and equipment; and even a timely visit to a physician. Working out in a safe environment and enforcing proper technique is the single most important thing when starting a workout regimen. The same can be said when starting with an SEO strategy. If a website is plagued with errors (404s, etc. ), it’ll be hard to maintain a successful course. Checking that all website links/tabs are working properly and that they are redirected to the appropriate page. Running a complete crawl report with Moz.com to ensure that all duplicate Meta Titles and Descriptions are addressed. Checking for duplicate content with CopyScape. Checking Webmaster Tools often to make sure that Sitemaps are indexed and working, malware is taken care of, and any other error setting is addressed. So there you have it folks. To end our article 10 push ups please…. Hopefully, you’ve learned a bit about maintaining a well-rounded SEO strategy and a little bit about working out. The most important thing to remember is to keep your head up. Sooner or later you’ll get there. If you have any questions about SEO (or working out), ask me on Twitter @luciasastre1 or just contact us at Optimum7. If you’re looking for a comprehensive marketing strategy that includes SEO, we’d love to help!